Here are some fun and highly recommended websites that I enjoy so much! I hope you'll take a moment to check them out. 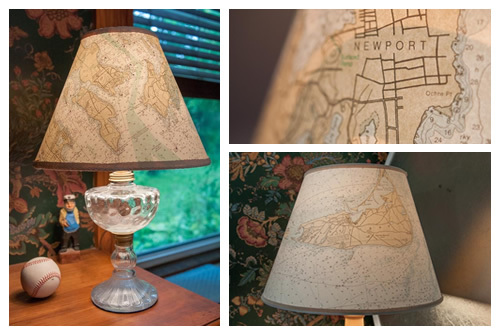 The SeaVenture Company makes custom, hand-made replacement lampshades and nightlights.They also sell lamp bases as well. Choose your own, personal navigational chart for your shade! Perfect for yourself, gifts, and more! Please take a moment to see more of what this company is all about. They are highly recommended! Click on the lamps below to navigate to this great website!